If Court proceedings are necessary then you can rely on our specialist and long experience of protecting your best interests and fighting firmly to get the best settlements in court proceedings. In our experience it is often very clear early on as to whether your former partner or spouse will force you into contested court proceedings because of their unfair and unreasonable attitude and behaviour. Court proceedings are the right option if your spouse will not accept that you are entitled to receive what is due to you. Remember in all financial and property disputes then the full financial disclosure must be rigorously cross checked to ensure it is full, honest, accurate and up to date. We will advise you on the law and apply the law to your circumstances. If a dispute cannot be resolved correctly in some other way then we will pursue court proceedings fearlessly on your behalf. 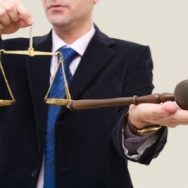 By offering our own Family Arbitration in other people’s disputes on financial and children’s cases then we can offer robust advice at the outset in your dispute and a well planned strategy to get you the best outcome. You pay a court fee to issue court proceedings, or you can respond to an application made by your former partner but there is no advantage in being the Applicant or the Respondent. There is no court fee in arbitration but the Arbitrator’s costs are paid by the parties. You must comply with the orders made by the court. You give evidence on oath to tell the truth. There is a structured timetable to work to. The court will not let things drift. The court will take over the organisation of the next steps and timescale in which evidence must be filed. You get a final result on a final date – so you know when you can stop banging your head against a brick wall! If you choose a Family Arbitrator then you will get their undivided attention and this will make it quicker and cheaper overall. The timetable can also be made quicker. Whatever the opinions and offers made beforehand then you at least find out what the court answer was. Good news if you have done better than you were offered by your former partner. If your spouse or partner does not accept that you should receive what you are entitled to then court proceedings may be your best option. Cost – although never-ending negotiations and correspondence can cost much more! Delay – court cases take the longest time to resolve. This will affect other parts of your life. You don’t want to spend too much of your life with lawyers (however nice I think we are!) or dealing with correspondence. You will get really irritated by the contents of the other side’s letters. You get an answer from the court. You may not think it is the right answer. I am on the Resolution Panel as an ‘Accredited Specialist Family Lawyer’ specialising in court advocacy in complex financial cases and in children’s cases. Duane Plant MCIArb is an all issues Family Arbitrator and is able to make Arbitration Awards in financial disputes and Arbitration Determinations in disputes over children. An Arbitrator exercises the powers of the High Court when conducting a family arbitration.